Our leaders have failed us, again. And I don’t know about you, but as a religious person, I’m angry. Approximately 90 percent of the American people believe that their fellow Americans should undergo a background check before they are permitted to purchase a gun. But the legislation mandating those background checks has been blocked in the Senate. A total of 46 Senators could think of no reason why they should listen to a mere 90 percent of the American people. 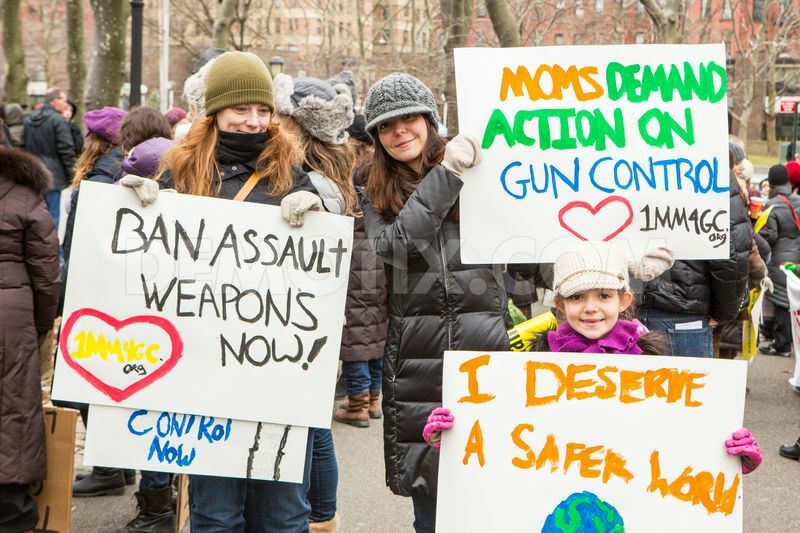 They could think of no good reason to heed those grieving parents whose children were slaughtered in Newtown or to pay attention to the distraught relatives of so many other victims of gun violence. If I thought the Senators responsible were acting out of true conviction or real allegiance to the Constitution, perhaps I would feel better. But I don’t believe it. Preventing criminals from getting their hands on weapons violates no Constitutional principle. What I believe is that these politicians were bowing to the power of money and to the lying ads of a ferocious, well-financed and fanatic lobby. I believe that their my-soul-is-for-sale mentality prevented them from seeing what virtually all American can see: Preventing crazies and criminals from getting their hands on a terrifying array of weapons violates no Constitutional principle and in fact is essential for the “domestic tranquility” that our Constitution assures. And I am especially offended by their “slippery slope” arguments to justify their actions. The “slippery slope” they talk about is no such thing. It is moral sophistry, an effort to put an ethical veneer on what is really moral cowardice and electoral self-interest of the narrowest sort. Those of us in the religious world know that “slippery slopes” do exist. Morality, after all, is a complicated business, requiring careful thought and appropriate safeguards and protections. As normally used in the moral realm, the term applies to small transgressions that should be avoided because they will otherwise lead to major transgressions. But background checks are not a transgression at all; they are a positive good, intended to safeguard rights guaranteed by the Constitution. Perhaps it is too much to expect moral courage from our representatives in Washington. But is it too much to expect a modicum of common decency and common sense? Is it too much to expect a little common decency and common sense on gun control from Washington? The religious community in America has a very, very difficult task at this moment, but this task is enormously important precisely for that reason. The natural thing to happen now would be for Americans to fall prey to cynicism, indifference and dismay. They are disgusted to see American kids dying ugly, public deaths, shot down in the streets and the schools; and they are distraught to witness yet another example of a well-financed, single issue minority throwing around its weight and overriding the will of the majority. But in this climate, when the gun fanatics are intent on depleting us as a nation and robbing us of our ability to make a difference, leaders of the Abrahamic faith traditions can do what others cannot. Firm in their belief that human life is sacred, that right is distinct from might and that justice is a supreme value, they can call on Americans not to give up on background checks and other sensible restrictions on guns. And conscious of the fact that the tobacco lobby was once thought invincible, they can urge Americans not to despair. Remember that the tobacco lobby was once thought invincible; Americans should not despair. And knowing that humanity, though corrupt, is redeemable, they can remind Americans that when it comes to the scourge of gun violence, this is not the time to abandon ship. No gun should be sold without a background check. No exceptions, so help us God. And to those who think otherwise, happy to let the deranged and the misfits run amok with lethal weapons, we say: We vote, we will remember, and we will hold you accountable.